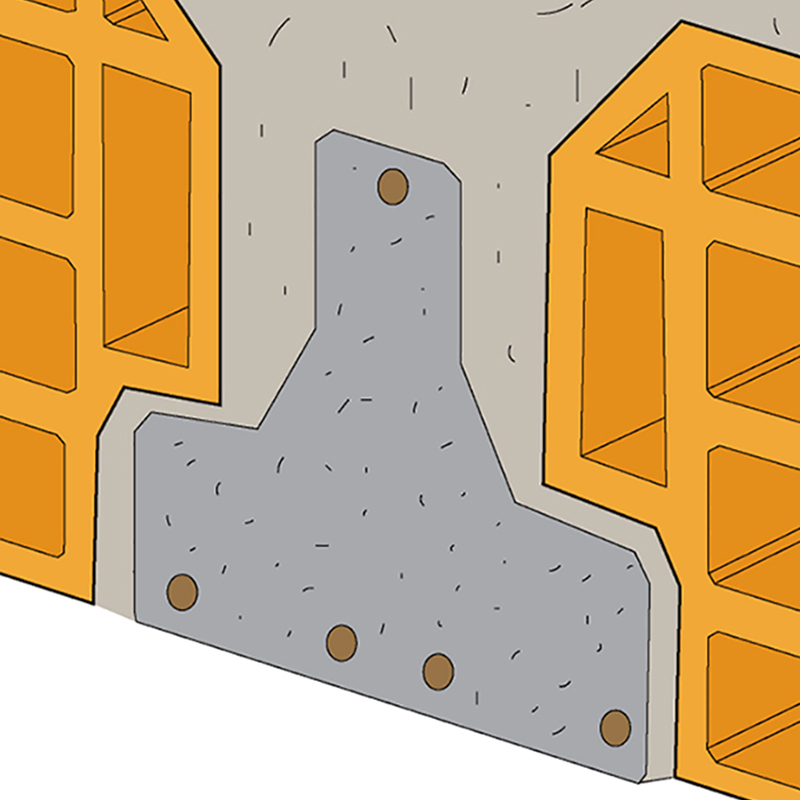 Many floors do not have an upper cap above the hollow bricks. 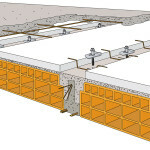 The connected concrete slab must be created to distribute the load and adapt the structure to seismic standards. 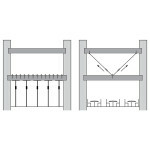 When design loads need to be increased, an additional load-bearing slab will increase the lever arm within the structure thus increasing the bending strength of the section. 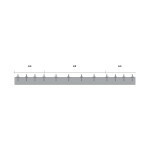 The increase in strength is proportional to the increase in section height. The width of the beam must be such that the connector has an adequate lateral covering of concrete throughout its whole embedded depth. 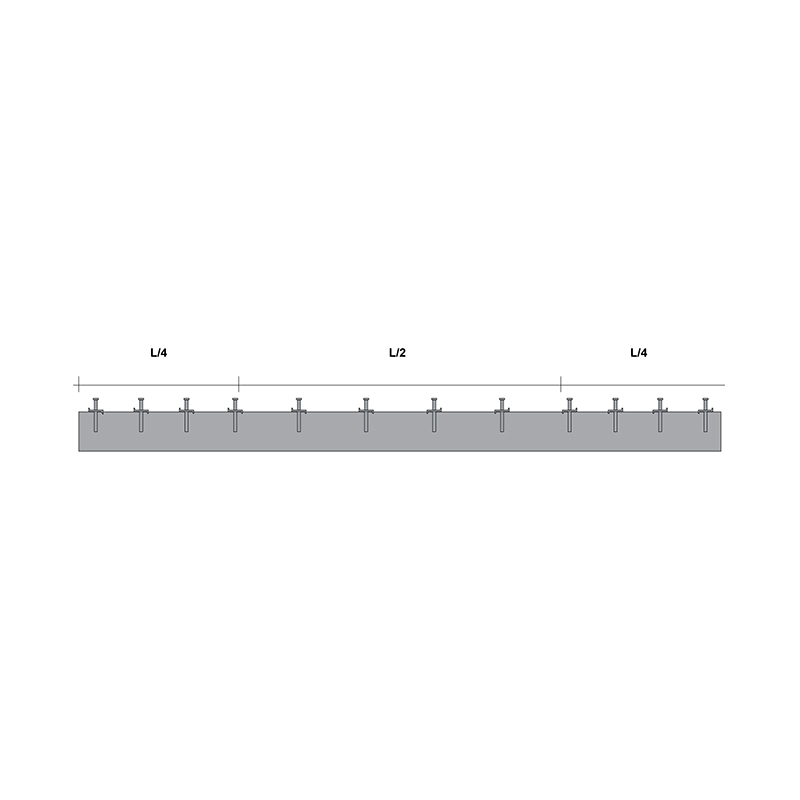 Minimum joist width: – 10 cm for floors without slab or with slab with thickness less than 2 cm – 8 cm for floors with slab with thickness exceeding 2 cm. 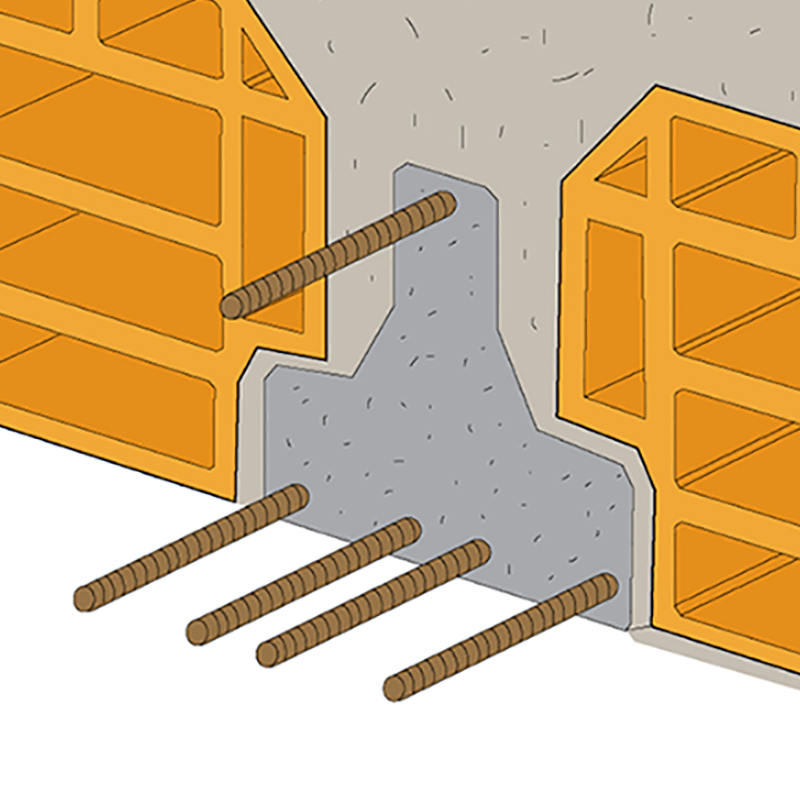 The connector cannot be used with floors with smaller joist sizes. 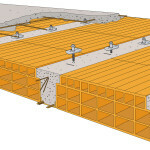 The suggested procedure is therefore well suited to floors with prefabricated joists (Bausta type), while it is difficult to apply to Sap or Varese floors, which have very small sized concrete joists. 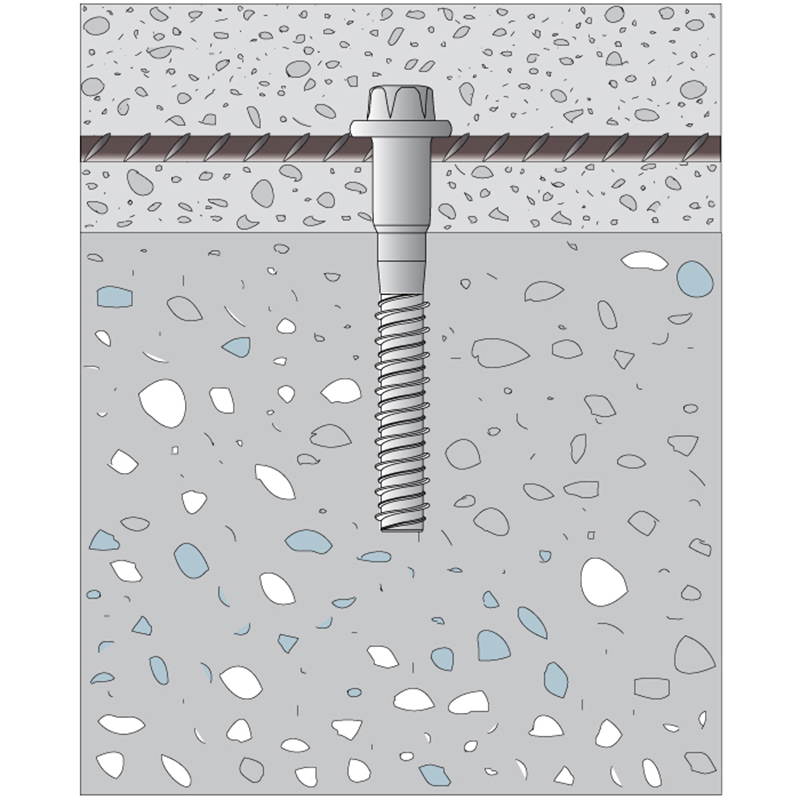 The bending resistance of the beam, the shear resistance and the resistance of the connector depend on the compressive strength of the existing concrete. It must be at least C16/20. 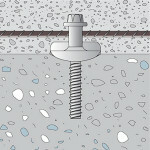 The use of connectors is not appropriate where there is a carbonation of the concrete and subsequent oxidation of the steel. 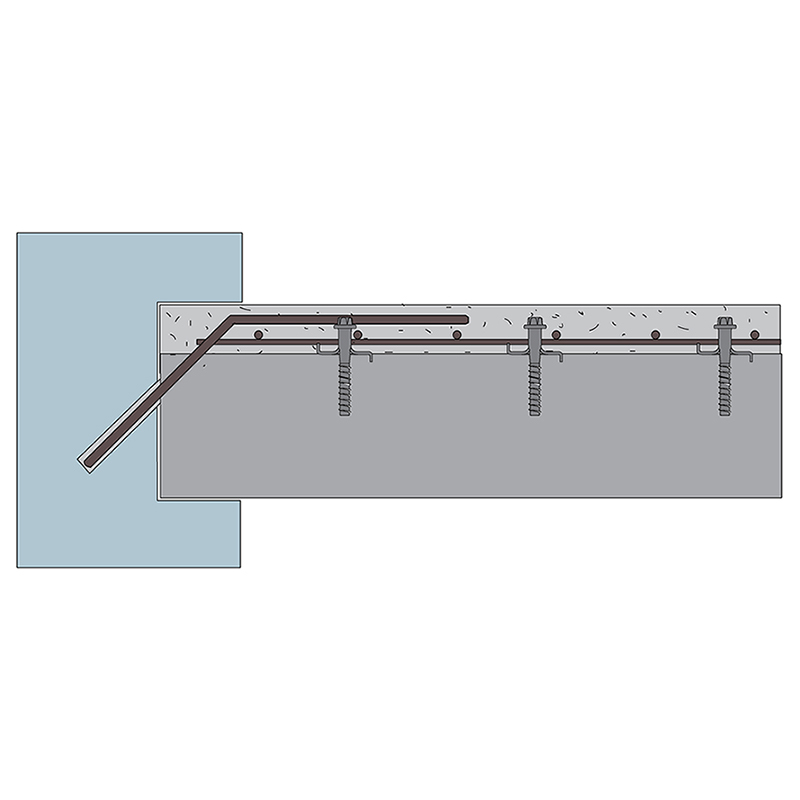 The steel bars in the bottom part of the beam must be checked as they are a part of the resistant structure for the reinforced floor. Their diameter and quantity must be carefully checked and type of steel noted. 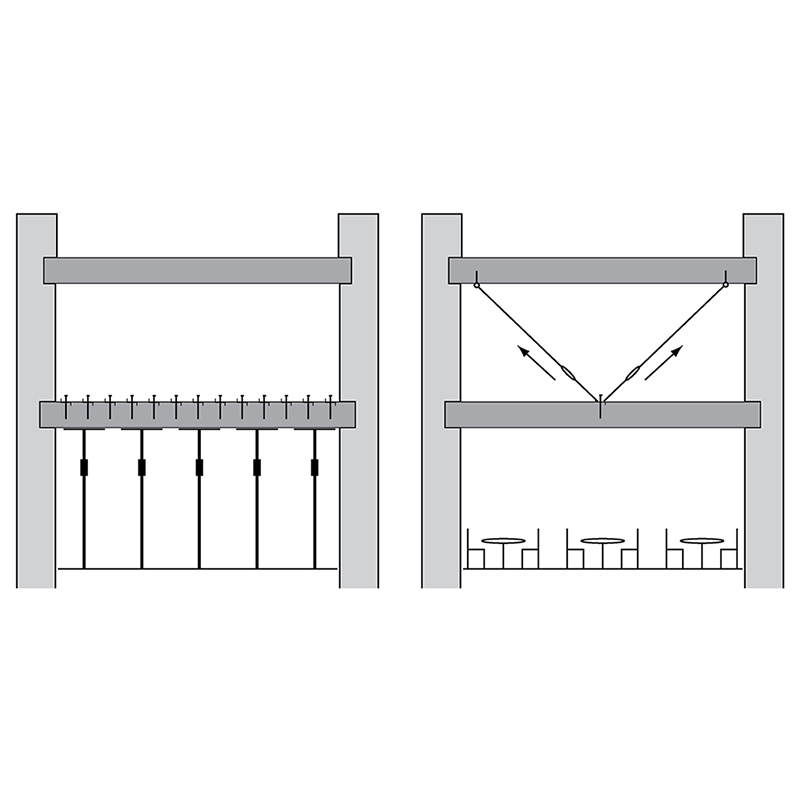 The tensile strength of the steel can be easily determined by undertaking a testing at a material test laboratory. This is the connector used for more demanding applications. 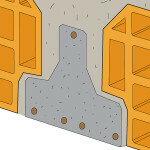 It anchors itself to the existing slab through a base plate, and has the highest mechanical strength properties of all connectors. This is the connector used for less demanding applications. 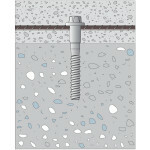 It consists of a screw with threaded section, which must be embedded in the concrete. 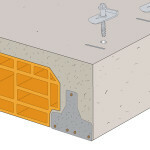 Connector purposely designed for connecting very thin layers of high performance concrete, to create connected slabs with thicknesses starting from 20 mm. 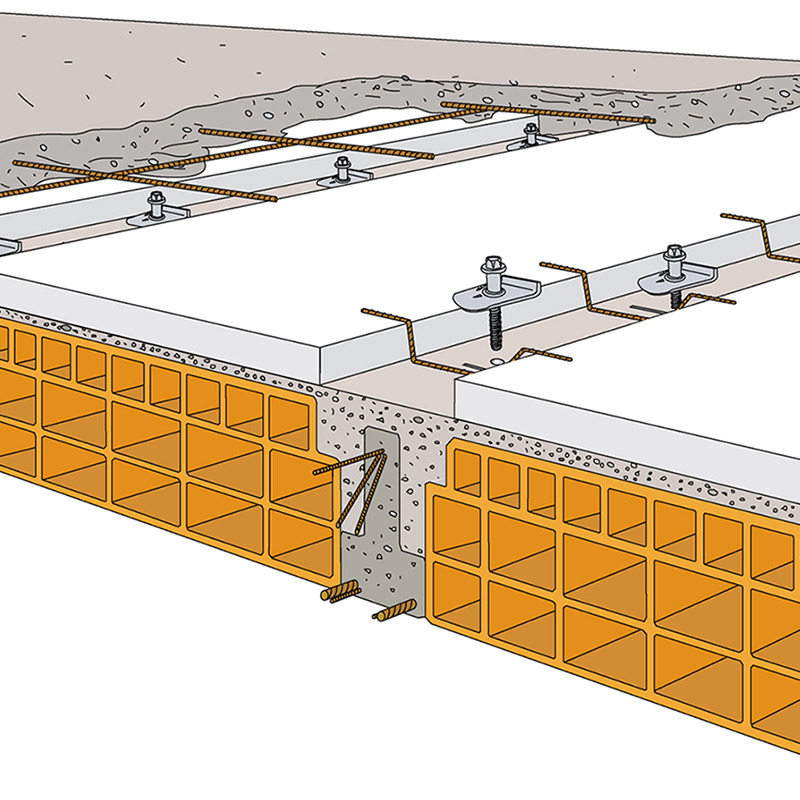 Structural concretes of minimum class C25/30 with thickness of a minimum of 4 cm are normally used to make the load-bearing slab, . Technical installations must not be embedded in the slab. Dampen the floor before pouring the concrete. 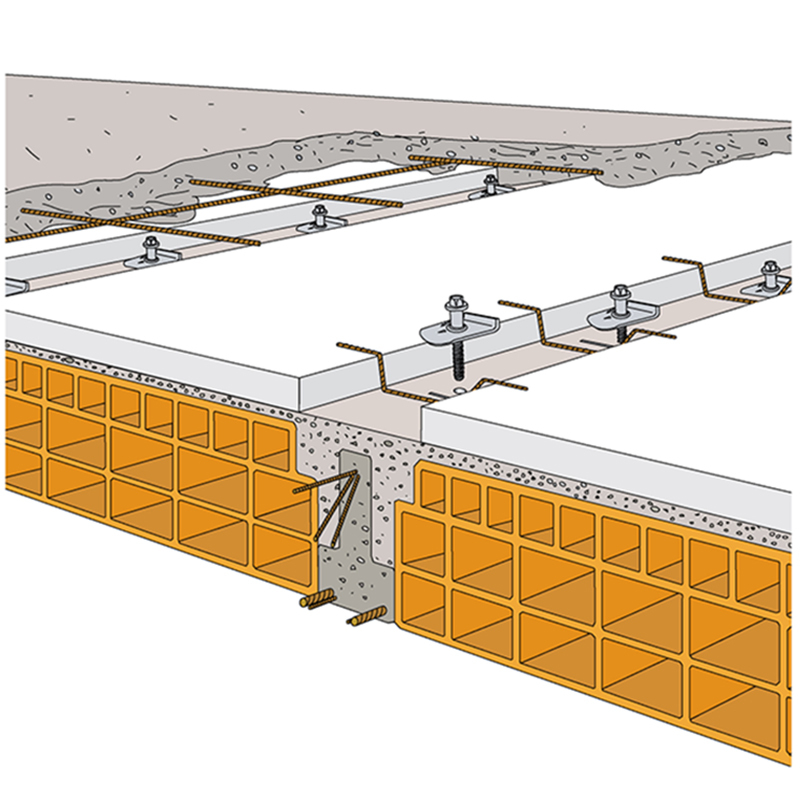 The use of lightweight concrete is recommended to reduce the dead load of the strengthened slab while maintaining its high mechanical strength. 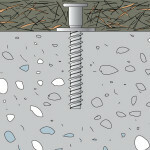 It is especially recommended for use in seismic areas. 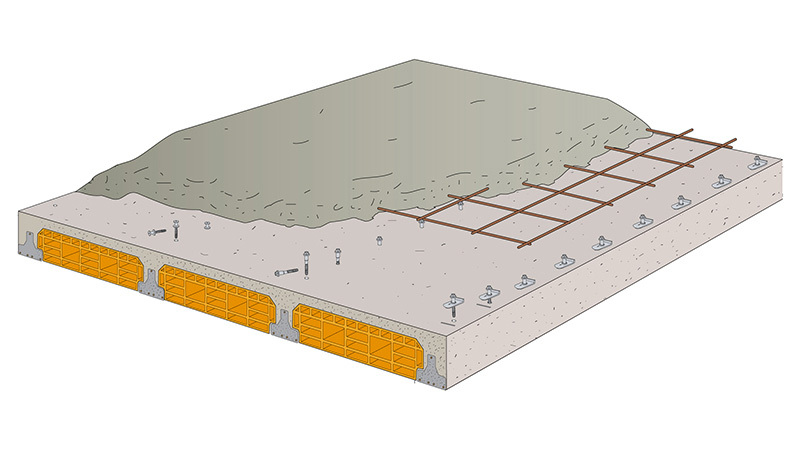 It is good construction practice for the total thickness of the reinforced floor to be equal to at least 1/25 of its length (e.g. 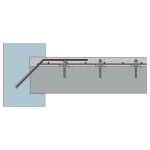 : 500 cm span= 20 cm total height). 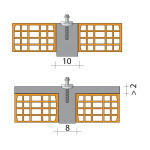 The number of connectors to be positioned is determined by calculation (on average about 6 to 10 elements per m²). 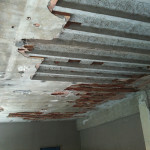 They will be fixed closely spaced near the walls and more widely spaced in the centre of the beam. Floors should be shored before the new casting takes place to achieve maximum efficiency of intervention. 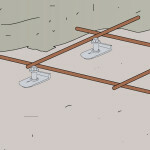 Where it is not possible to have access to the underside of the floor, the floor can be hung by means of stays. They are used when the thickness of the new layer must be limited to 20 or 30 mm, and when a reduction of the dead load is required. MINI CEM connector only. 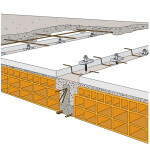 When the slab is not connected to the masonry, or when there is no existing slab, the new one must be constructed and connected to the perimeter walls, preferably at regular intervals, using bars glued to the perimeter beams using resins. 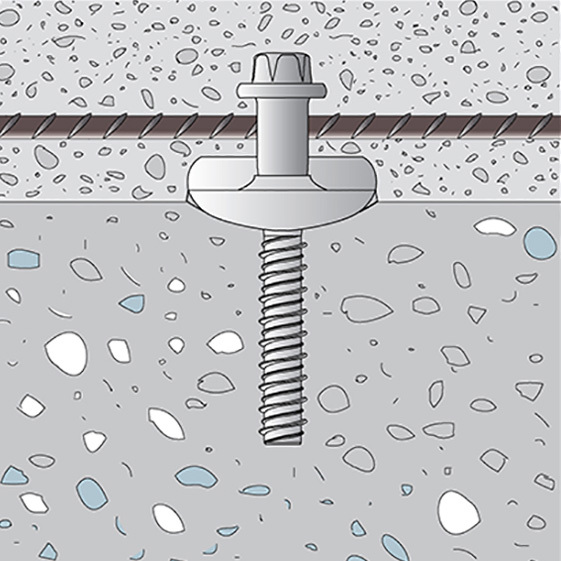 A suitably dimensioned electrowelded mesh (normally Ø 6 20×20 cm) must always be placed in the middle of the slab. 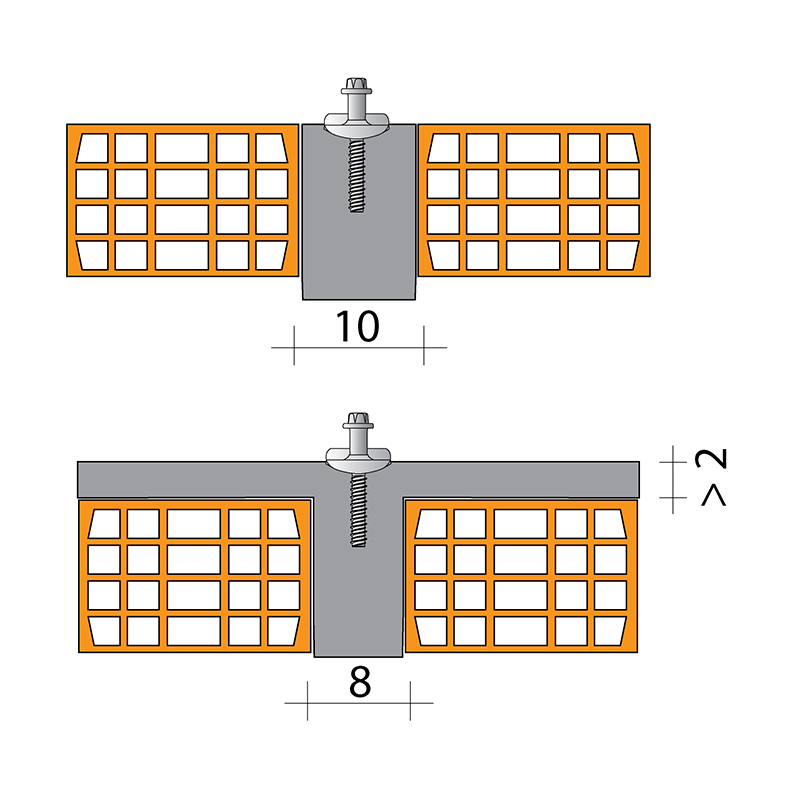 It is not necessary to fix the mesh to the connectors. 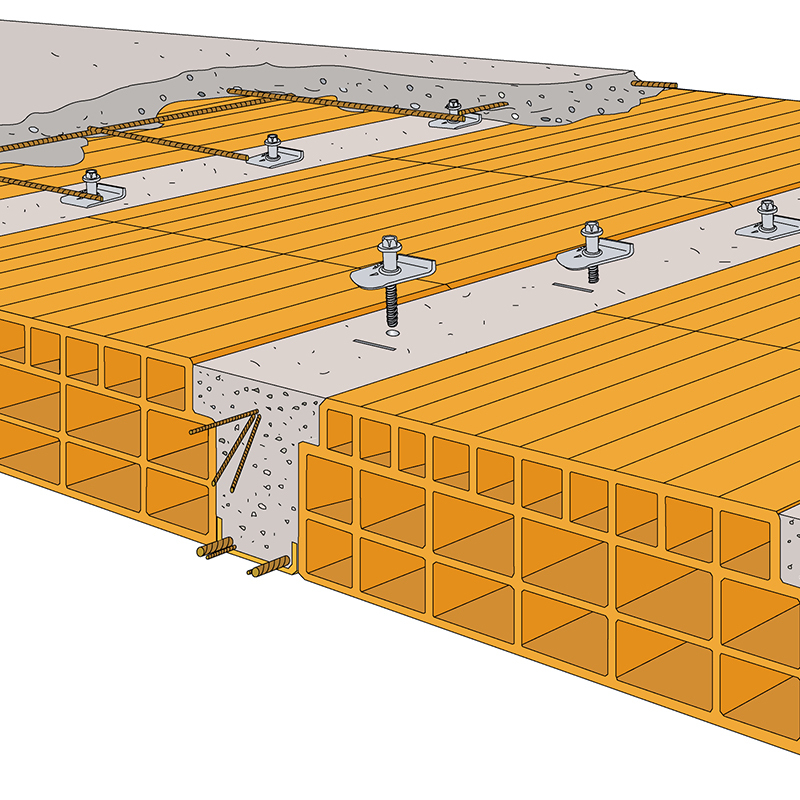 The addition of a panel of rigid insulating material on top of the existing floor increases the section without excessively increasing the weight. The greater depth improves the reinforcement. Advantages are obtained in terms of strength, stiffness, the number of connectors used, and partly, the value of thermal and acoustic insulation. 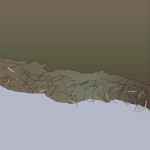 Floors which have excessive sagging often have suffered a breaking of the bottom layer of the floor pots. 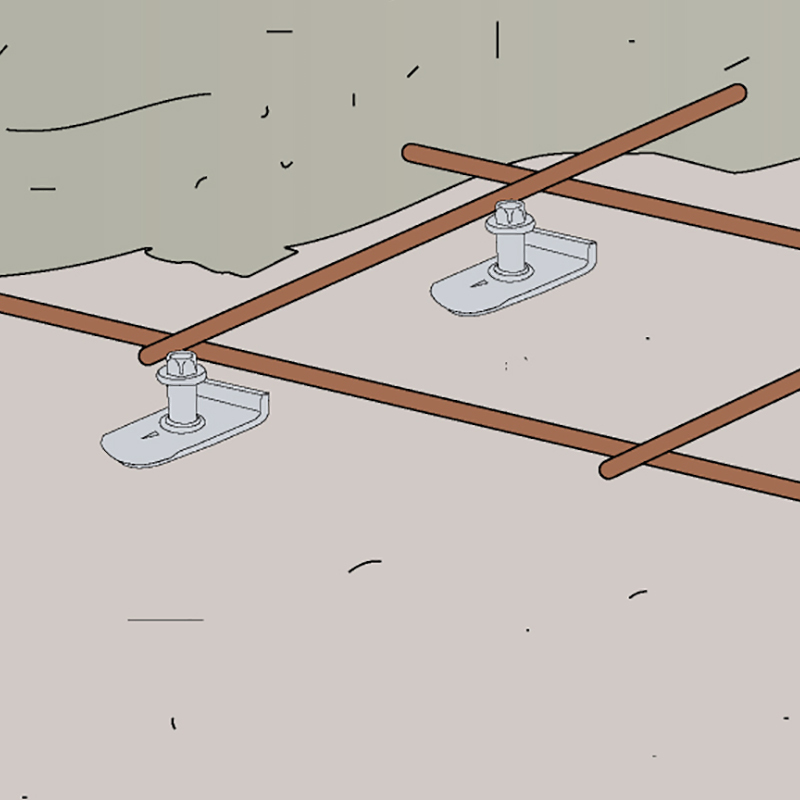 First of all the floor structures must be made safe using an appropriate system. 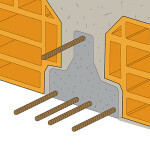 The connection with a new slab will then reduce the flexibility of the floor, preventing the problem of collapse from occurring again.